Please take a moment to read through the rules of Wolf Mountain before you join. 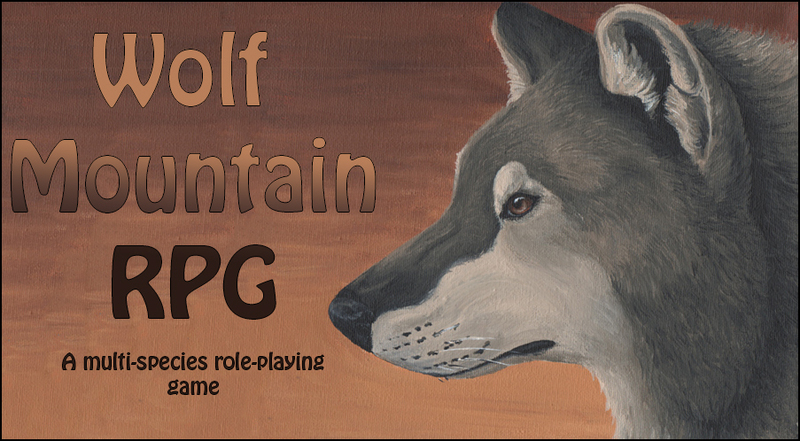 There are a few basic rules you must comply to when role-playing on Wolf Mountain. Breaking of the rules will lead to offenders being reprimanded, which may include but is not limited to warnings, removal of privileges (such as blessings or mythical species) or being banned from accessing the site. Respect other players at all times. No swearing or behaviour above PG-13 will be permitted. Art theft is strictly prohibited. What this means is that you cannot take, use and/or alter an image without expressed permission of the original artist. 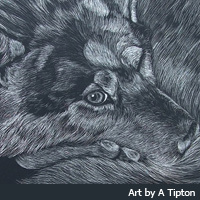 If you wish to have an image of your character feel free to search via many free imaging sites, request from a private artist or request one using one of our many on site artists here. Advertising other websites is not permitted on Wolf Mountain message boards. The only board where this is allowed is on the Advertising board which can be found in the OOC section. Voiding of litters once results are given is prohibited unless approved by a moderator. If denied then no further explanation needs to be given by those who made that decision. A character can cancel their request for a litter only if they post before the results are given. Characters cannot ask a rank for specific results of a litter. The results must be unbiased and as much as possible randomised. God-Play or Power-Play is strictly prohibited. God-Play, otherwise known as God-modelling, is when a creature refuses to accept any damage taken to it, it is much stronger than anyone else, is all knowing or invincible (can’t die) and all powerful. Power-Play is pretending you have amazing powers (e.g. you have blessings that you really don't, or some other form of magic) or playing another creatures reaction in a battle (non auto-hit). Power-Play is also inflicting non-realistic injures on someone else, like breaking a bone in one move, or roasting all their fur off with a fire blessing. Decorative items may be worn. They cannot, however, have any specials powers. Acceptable powers for decorative items are: changing colour with mood or season, etc. You cannot join as a mythical creature. Mythical creatures (see Mythical Book) must be earned either via a Blessing Day (see Calendar) or from a breeding pair. If you acquire a blessing mid-fight (such as if you're role-playing elsewhere for example and happen to gain another blessing) you are not allowed to use it in fights already started. When battling you must give the opponent a chance to react. Posts should be limited to a reaction to the previous attack and an action which is your attack back. There should not be just a chain of actions in one post without giving the opponent a chance. No coaching or being coached is allowed during pack, rank, or Colosseum battles. If you are suspected of coaching, a vote between all the other ranks will be made to determine repercussions. The one being coached will lose anything gained from winning the battle (blessings, title, mythicals, etc). If a player requires clarification on a move, they will post it on the battle thread and a rank will clarify. Any rank that has a personal interest or personal gain to be made in the results of the battle, they are not to post in regards to it. If Power-Play is used in battle, the player in question will get one warning via an *in* post reply. If the player then power-plays again in the battle then any move they were trying to dodge will immediately hit its mark to the attacker's discretion. Likewise, any power played attacks/moves will fail or miss leaving the power player wide open for an attack. These decisions on power-play will be made by moderators that are not involved in the battle. If there are any questions regarding a move thought to be power-play, ask a moderator not involved in the battle for clarification. Do not make your character like someone else's. That is plagiarism (stealing someone's idea without their permission). They made theirs unique and with personality, you should do the same. If a character dies, it must remain dead (although it can be played as a spirit), unless you use a life blessing. Some blessings prevent being brought back to life. Ranks cannot be transferred to other characters played by the same role-player UNLESS under special circumstances (like death) though this must be agreed by a moderator. Mythicals beyond the age of 2 months can NOT be given away to another player. This applies even when the mythical's player leaves the mountain. Mythicals below this age can be transferred between players. This must be recorded under the Mythical Register. Normal characters (mythicals are different, please see the mythical page for exact times) can only breed once per month. Pups, kits or anything other than a mythical species must stay a pup for a whole month. They cannot breed until they are at least three months old. After that aging is largely up to you. Spirit characters cannot use blessings other than illusion based ones (and only then if you had them when you were alive). Spirits lack the necessary form to pick up items, fight, bite etc. Animal characters are not permitted to use blessings in the human land boards. Players cannot breed their own mythical creatures together. Only ONE pack can be owned per player, you cannot claim more than one under different characters. A different character you play can own a gang instead. A character who owns a gang cannot own a pack too. Mythical characters cannot own a pack nor can they defend it instead of the alpha. Only the player who claims a pack is the alpha who can defend it. The only powers you can have are blessings. These can be earned through the regular contests we hold (see Contests), Blessing Days (see Calendar), from a rank or moderator, the Wilderness game, or a Phoenix, depending on the blessing. You cannot be all powerful/all knowing. Blessings allow for some extra strength, but no one is invincible. If a creature you role-play dies and has blessings, they may pass them onto another character that is role-played by you. If you play a ranked character you cannot pass on blessings which allow you to give out blessings UNLESS specifically agreed on by a moderator. You cannot switch blessings between live characters that you play. If they are transferred to more than one character in two months, special permission MUST be granted. Ready to join? If so, go to the Character Register! Check your character's name isn't taken first! Hint - Use Ctrl + F for a quick search! Once you have posted on the Character Register board you can start role-playing straight away. However, please check the board regularly for a reply to say you have been registered successfully. Thanks to AmethystEyez for originally making and managing the Members List and now to Bandido!